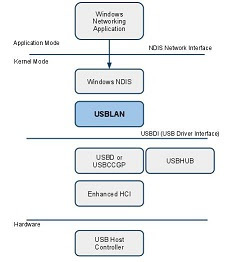 Belcarra supports an environment for testing USB Networking protocols. 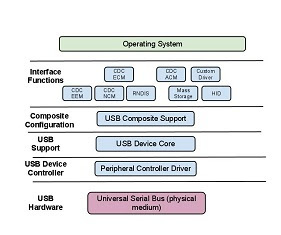 This paper, is the first in a series and will provide an overview of this environment which includes both USB Host and USB Device side software components. Belcarra’s Overo USB TestDrive is a Linux based test system based on the Gumstix Overo board. The Overo board is a low cost hardware development system using a Texas Instruments OMAP series of System On Chip (SOC) technology. It supports USB 2.0 for both host and client implementations. All of the CDC protocols can be easily tested against Windows Operating Systems (7, Vista, XP) using an evaluation version of Belcarra’s Windows USBLAN driver available from Windows Update. Network test tools installed and ready to use as soon as the system boots. The kit can be downloaded from the Belcarra USB TestDrive archive. Overo USB TestDrive Setup - an overview of USB Device testing using Belcarra’s Overo USB Test Environment. Windows USB TestDrive Setup - an overview of setting up a Windows system to do testing of USB devices with tools such as Apache and Cygwin.